I love the challenge of integrating shape, decorative design and color into a unique, cohesive expression. 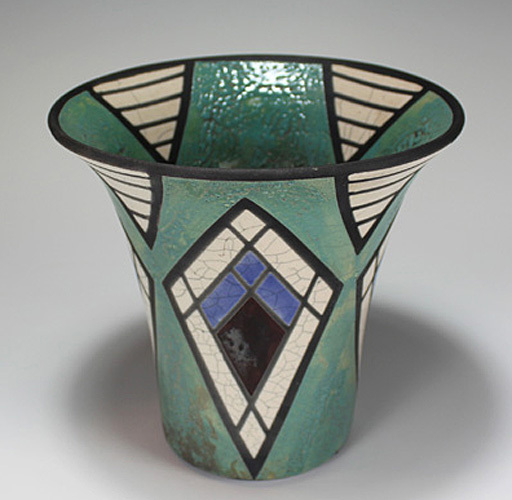 I draw inspiration from many sources, but especially love Arts and Crafts and Art Deco designs. 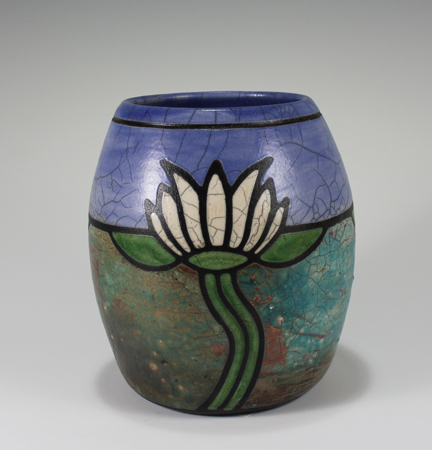 My pieces are carefully planned and executed then finished with the spontaneity of raku firing, reflecting my sense of exploration and adventure. The crackle patterns and luster flashes overlay their own designs on my designs, the rich blacks define the decoration. The concept is complete when the pots have a synthesis of form and decoration, each enhancing the other and meshing as a total statement. That moment is one of magic and pure joy. 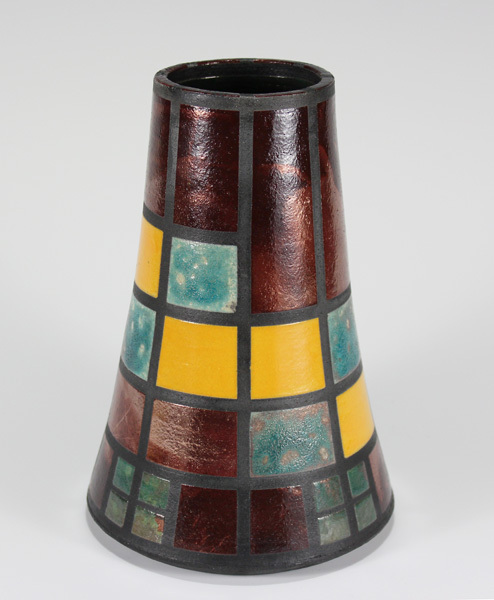 This waterlily vase has copper flashes all around the water areas, giving much depth. 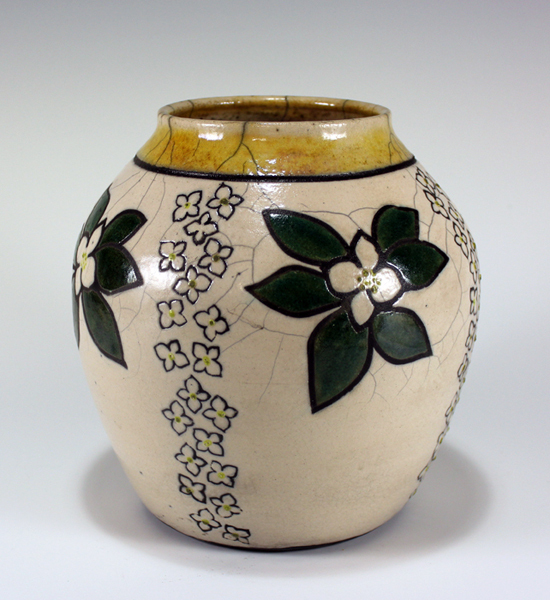 The above vase was chosen by the Potters Council for its 2014 Alternative Firings Calendar. Want to know more about raku? Copyright 2012 Betty Jean Wilcox Studio. All rights reserved.